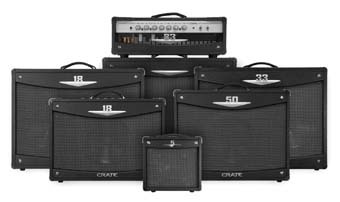 Crate V-Series Tube Amplifiers Crate have come a long way from their humble beginnings in the late ’70s, and their acclaimed and newly freshened V-Series tube amplifier series is a prime example of their progress. At first glance it’s a story of a high-school kid versus his principal in a quirky schoolyard First Amendment stand. A student fought for his right to hold up a sign that read “Bong Hits 4 Jesus” during what may or may not have been a school fieldtrip.